Put ice cubes in bottom of pitcher, toss in fruit on top of ice along with lemon juice. Add wine, champagne and vodka. Stir. Retire to someplace comfortable with two glasses and a good friend. 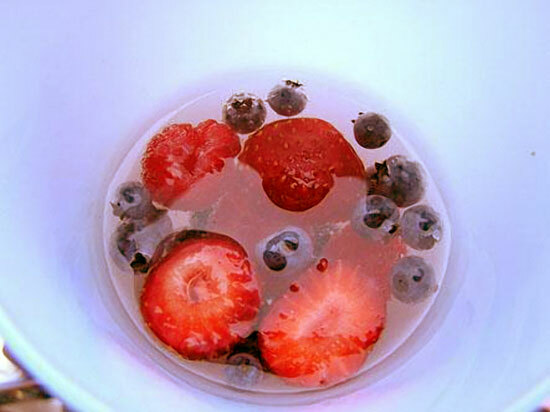 Drink the sangria and don’t forget to indulge in the quite inebriated fruit… especially as the evening progresses. This recipe can also be made with red wine; but that is better in the winter… it’s a bit heavier and better for cool weather indulgences.